Maybe it’s just because we’ve spent so long getting here, but as 1965 draws (finally, truly) to a close here on Motown Junkies, it feels like we’ve crossed some kind of rubicon – two years, give or take, into Motown’s mid-Sixties Golden Age, with the company now firmly established as the biggest name in black music, the very act of signing to Motown has become a statement in its own right. “Motown” is now a magic word, a byword for what might as well be considered an entire genre. The achievements of 1965 – the chart-topping hits, the groundbreaking TV appearances, the media saturation, the sheer volume of records sold – pass into history. But there’s the rub: from now on, Motown has history. The end of December 1965 doesn’t mark the watershed ending of any particular neatly-divisible phase of the Motown story, but it’s a useful kind of dividing line all the same; from here until the end of the blog, signing for Motown means engaging with that history, competing with it, trying to live up to it. The time of Motown growing big is over; the future, for at least the next ten years, is about staying big, and that’s a very different story. Never again can anyone sign to Motown as a stepping stone, or a bold leap of faith, or indeed anything other than a chance to play in the big leagues – nobody, in short, will ever sign for Motown again without knowing it means. So it’s kind of appropriate that during these twilight weeks of 1965, the last two “new” acts we meet for the first time here on Motown Junkies are both actually not new signings at all. Paid-up backroom staff member Frank Wilson’s story we’ve already heard, but the Elgins, who released the very last single of the Motown year, didn’t arrive out of nowhere either; like Wilson, they were already all under contract with Motown. 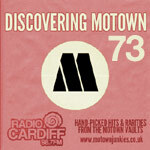 Only the configuration was new: before the sessions that produced this single, the individual components of the Elgins were signed to Motown separately, unsuccessful previously-signed Motown group the Downbeats only being paired with unsuccessful previously-signed Motown singer Saundra Mallett Edwards at the label’s insistence. As artificial a start as you could wish for (and one which would have repercussions further down the line) – but also a fine one, because whether through luck or judgement, Berry Gordy’s request-demand that two of his flop acts merge or be dropped turns out to have created a splendid little group, well-matched and smart. Welcome (back) to the party, lady and gentlemen. We last met Saundra temporarily fronting the Vandellas, no less, way back in 1962, on Camel Walk and its flip, It’s Gonna Be Hard Times, the latter being a much better indicator of where she was headed, being dusted off four years later as album filler for the newly-renamed Elgins. Saundra stayed at Motown after the single flopped, joining the ranks of the company’s other forgotten vocal talent (see: Hattie Littles, Jimmy Ruffin, Chris Clark, Shorty Long, Sammy Ward, Tommy Good, Edward Earling, Anita Knorl, and probably a whole bunch of other people we’ve never yet heard of) who stayed signed to the label despite having no releases in years, or indeed no releases at all, recording sporadically during occasional trips to Hitsville, filling out bottom-of-the-bill slots to bulk out live show line-ups, otherwise effectively disappearing from the public eye altogether. Still in her teens, Saundra was too young to go out touring and promoting her recording career, and so the few solo cuts she made at Hitsville after 1962 remained on the shelves, unreleased until the Elgins’ 2007 Motown Anthology CD (pictured below). She had a strong voice, but by mid-1965, her career was going nowhere fast. Meanwhile, we’ve also met the Downbeats, a bang average doo-wop group who’d evolved over the course of a ten-year recording career but still maintained a core line-up of guys who’d been there since the earliest days of their time as the Five Emeralds (Johnny Dawson, Norman McLean, Cleo “Duke” Miller); like Saundra, they’d signed for Motown in 1962, but as veterans rather than teenage newbies, and their sound hadn’t really progressed as the Sixties went on and several members decided they’d had enough. The Downbeats had been largely overlooked when it came to the Motown release schedules, with just one single actually hitting the stores (Your Baby’s Back, at the start of 1962), and then another one scheduled and cancelled in late 1964 or early 1965 (You Say You Love Me). They racked up plenty of recording hours – the surviving fruits of their labour, eleven cuts in all, are again included on the Motown Anthology CD retrospective, all featuring Norman McLean on lead (often miscredited as “Norbert McClean”). The Downbeats were okay, but again, by mid-1965 there was little indication they’d go on and achieve anything. But then, one of those weird Motown turning point moments happened, an event which set in motion a chain of events eventually leading to, if not the front of the pack, then at least a place in the pack. Motown boss Berry Gordy astutely observed (and correctly shared his observation with the group) that the Downbeats not only lacked any kind of competitive edge or compellingly unique sound of their own, but that they’d shown no sign of stepping up and making the grade in this, Motown’s most successful year to date. In Gordy’s eyes, the Downbeats had had long enough to prove themselves, to convince him they were a special male vocal group who merited a place at the table, alongside the likes of not just the Four Tops and Temptations but also the Spinners and Monitors. They hadn’t done it, and so enough was enough: it was time for a change. Gordy suggested not only that they get a new, young lead singer, but also that they completely change the group’s DNA to be relevant to the mid-Sixties crowd – it was Gordy’s strong “suggestion” the singer be a woman, and not just any woman at that, but the similarly directionless Saundra Mallett Edwards. It was an inspired choice; the fit was perfect, and the Downbeats morphed, overnight, from a rough and dated doo-wop hangover to a punchy contemporary soul group. First piece of the puzzle successfully in place. Gordy also deemed the group needed a fresh start; the idea of changing the group’s name to reflect their new constitution was slow to catch on (promos of this, their first single with Saundra on lead, are still credited to the Downbeats), but once another group of Downbeats emerged elsewhere in America, Gordy took the chance to force through a name change. Dawson chose “Elgins” (pronounced “Eljins”, not “Elg Inns”) in honour of the Elgin Watch Company; the Temptations, who’d wanted to use the Elgins name (inspired by the same brand) back in 1961 but who were forced to change because of another unrelated Elgins group who were active at the time, would have smiled a wry smile at this point. So the Downbeats were out, and the Elgins were in – and, as Lamont Dozier later said, most people at Motown had no idea who “the Elgins” even were. Second piece. And then the astonishing third piece, which shows how fine the margins can be when chasing your big break: Johnny Dawson had been marking time during the Downbeats’ wilderness years by cutting hair, and one of his regular heads was none other than Brian Holland, by now one of the most famous and successful writer-producers at Motown. Presumably Brian was familiar with the work of the Downbeats, but they’d provided little to write home about – but one day in the summer of ’65, with Holland in the chair, Dawson mentioned his group now had a knockout new singer and were looking for material. Seizing the opportunity to get in on the ground floor, and despite the already jam-packed work schedule the never-hotter Holland-Dozier-Holland team were trying to fulfil writing endless top ten singles for the Supremes and Four Tops, Brian agreed to give his barber a shot and listen to what the new singer could do. The team humoured him, listened to the newly-rechristened Elgins, and were so blown away they agreed to write and produce both sides of the group’s “début” single. By such fine margins are heroines made. So, the Elgins, an unknown name with nothing up their sleeve but more almost-unknown names, had lucked into a privilege not even Martha and the Vandellas had been able to secure in the wake of Nowhere To Run: a new session with Holland-Dozier-Holland. We’ll meet three more versions of this song here on Motown Junkies, two of them before twelve months have passed, which rather suggests the HDH trio might have retrospectively pondered the wisdom of giving it to Brian’s barber, potentially wasting an excellent song on their unknown pet project rather than saving it for a bigger name. But the call was the right one; as a (re)launchpad single for a new name on the market, it’s beguiling enough to work, and in the hands of Saundra, it’s never less than fascinating. The band track here is stitched together from what sound like a load of unrelated individual parts, presumably evidence of Brian and Lamont’s classical obsession at the time; the 6/8 piano which drives the song along, the two different string signatures, some truly genius bass, wraithlike backing vocals, none of them really playing what you’d recognise as the tune of Put Yourself In My Place but adding together to put something really new on the record. It sounds like it took a long time to successfully arrange, which makes it even more surprising the first group invited to have at it weren’t the Supremes, but the Elgins. I can’t work out what’s going on with this one vocally. Saundra’s diction is weird, especially near the start (for jusht a liddle whi’!) but her voice really is lovely, an artefact from 1962 singing over that very 1965 backing, a natural contralto but never shying away from tackling high notes, taking tips from the great Motown divas of the past and present, bringing in lots of Martha Reeves and a smaller helping of Mary Wells. If she doesn’t exude stardom in the way Mary and Martha had (even in their early days), she’s also no slouch; her ohs and oohs and hums are absolutely spot on, and whenever she does need to go up the stave, she sounds comfortable enough up in that thin air – not the finished article, but obviously One To Watch. You can see why Lamont Dozier was so taken with her (and why he’s on record as regretting the HDH team never really got the chance to work as much with her as they’d have liked). It’s interesting to hear this recording of the song, which appears to be the original, compared to the Supremes’ version which is coming up here in a few months’ time; seemingly designed for Saundra’s lower, deeper vocal tones, which now seem to play against the dreamlike atmosphere conjured by that tinkling piano and those sweeping changes and big drum hits as she conjures a picture of a woman truly scorned, it works beautifully. There are echoes of other Motown performances, real and imagined: the bounce and snap of My Guy turned sour, the feeling of Martha Reeves singing Whisper You Love Me Boy (a recording which sadly, like the imaginary Temptations cover of Sweeter As The Days Go By, only exists in my head), plus of course the trademark HDH device of alloying a finger-snapping tune to some genuinely crushing lyrics from a narrator at the end of her tether. When at 1:55 that narrator, with the song winding towards its inevitable fade, runs out of ideas and just resorts to pleading – Why don’t you try it? Why don’t you TRY it?! Why don’t you try it, ba-by, ba-by TRY IT…!, Saundra sells her character’s desperation well, all but physically grabbing the guy (played by us, the listener) by the shoulders to shake some sense into him, and it’s absolutely riveting. But there’s a weird thing that happens when the title phrase is sung – Saundra is bolstered by another voice (or a cluster of voices) singing those same five words, soft-sounding harmonies that don’t actually harmonise with each other, and I don’t know if they’re the all-male Elgins or whether it’s a crude attempt at a double-tracked vocal that somehow ends up very slightly out of time with the lead, whether by accident or design. (It turns up without Saundra just before the one minute mark, while she’s humming and doing melismatic ad-libs, and I still can’t tell who it is – they don’t sound like the Downbeats records we’ve heard, but then again we’ve not heard the Downbeats being produced by Holland-Dozier-Holland in an attempt to get a hit record in 1966). Undeniably effective, but strange. And yet that’s a pretty good description not just of this record (an odd lyrical fish, too – it’s a second-person appeal to the narrator’s boyfriend to walk in her shoes for a while, apparently to either punish him for his lack of thoughtfulness or to help him understand what he’s doing wrong, or as an extremely melodramatic breakup letter)… But I digress. “Effective but strange” is a description not just of this record, but of the Elgins themselves. The song is lovely, but there are catchier ones to come, and as fine as this one is, it only really hints at something even better that’s lying just out of reach; it’s a song which introduces the idea of the Elgins and their greatness, rather than actually being testament to that greatness (there’s a reason that while this is the catchier and snappier of these two sides, it was actually the flip that ended up making more of a chart splash – this is more of a mood piece than an obvious hit). Plus, Saundra is a fine singer, but I still don’t feel I “know” her in the way I can instantly get hold of, say, Mary Wells, Martha Reeves, Diana Ross, Gladys Knight, Kim Weston, Brenda Holloway, Hattie Littles, Cal Gill… the closest analogue right now would probably be Wanda Young Rogers of the Marvelettes, another similarly anonymous star. But this is carping. What we have here is a calling card for a fine new group, in many ways the first “new” Motown signing of the mid-to-late Sixties, the first Motown group born as a “Motown” group. It sounds great, and it’s also a really good record, even if there’s better to come. Bring on 1966. Wow! I have always loved this song. The Elgins version is nice, but I prefer the Supremes version which I think is the highlight of SUPREMES A GO GO. There are also decent versions of this song by The Isley Bros & Chris Clark. An artist would have to really try hard to mess up this song – it is that good to my ears! Of all the H-D-H written/produced songs recorded by Diana Ross and The Supremes, this one is maybe my least favorite. The overly busy rinky-tink piano is tiresome, even on a first hearing, and Diana sounds far less sincere than she does with the other cover versions on Supremes A’Go-Go, where her performances often outdo the originals. (Diana excels on Baby I Need Your Loving, for instance, and her rendition of This Old Heart Of Mine Is Weak For You is vastly superior and more listenable than the Isley Brothers’ initial reading, which is a mess.) Perhaps Diana resented covering a song by an “unknown” group and didn’t invest herself much in her recording of Put Yourself In My Place, or perhaps she quickly grew bored doing tunes not written specifically for her; the Sing H-D-H version of It’s The Same Old Song was a rushed, second-rate result. The whole thing with Diana Ross and The Supremes’ interpretation of this song is a mechanical monstrosity, not unlike the dreadful, dead programmed drumming that marred many recordings in the late 1980s and beyond. Technically, every note and sound is in its place, as determined by the writers and producers, but there is no life to the piece; it’s just there. All that aside, The Elgins’ rendition of Put Yourself In My Place suffers some of the same faults — most noticeably, specifically, the awful, bothersome, repetitious piano plunking — but Saundra Mallett Edwards’ voice conveys a certain credibility that Diana didn’t quite put across, and somehow the recording works. You never quite know if she’ll hit or miss the next note, and that gives the recording some mystery and some emotional involvement — on her part and the listener’s — that was sadly lacking in the Diana Ross and The Supremes’ attempt. Saundra’s voice has a texture to it that’s akin, as you mentioned, to that of Wanda Rodgers, and her mournful, tentative growl, plus a gritty sax in spots, gives this single a certain edge. But the flip side of this single is much better! Hi Friend, Funny you mention early 1980s recordings in talking about the Ross/Supremes version. I actually think it is interesting to listen to the Supremes version of this song & then play “Upside Down” next. I’ve always felt like the 2 performances (which I like) are very similar. Not sure why I like the Supremes version of this song so much. Interesting. All the best to you friend!! Does anyone else agree that the repetitious piano riff sounds very similar to the opening of Marvin Gaye’s “Lonely Lover”? When I first heard this single, because of the strange tonal quality, I assumed the lead was by a female. I still think the lead vocal on this track had been speeded up. Out of all the Motown singers who recorded for Motorcity in the 1990s, it is my opinion that Saundra Edwards was the only one whose vocals had improved over the intervening years. I had meant to write I assumed the lead was by a male [singing falsetto]. We agree on this, giving a “7” to this recording. This is a regular “crankout” H-D-H song, and Saundra Mallett-Edwards does a good job on it. It’s a sightly above average Motown cut for its time. I bought the store-stocker first, but found the Downbeats’ DJ issue about 6 months later, and also found a “Majestics’ ” DJ issue for “Say You”, that was later changed to “The Monitors”. How can anyone only rate this as a 7? Far from a regular H-D-H song, I would rate this as one of their most melodic compositions. Combined with one of the most attractive arrangements and a gorgeous delicate lead vocal this in my opinion is definitely a 9/10. It might not be the most soulful Motown record but judged as a pop record this is marvelous. The lead voice is a little on the weak side perhaps, but suits the arrangement perfectly. I’ve seen a bit of poor quality film of the group singing this and ‘Heaven must have sent you’ on Youtube and the lead singer looks delicate as she sounds, in fact she looks well under weight in that film. This record eventually became a hit in the UK in 1971 when re-released as the follow up to the huge hit of the re-issued ‘Heaven must have sent you’. The group toured the UK in 1971 and even appeared on TOTP but had a different lead singer at that time. the Isley Brothers of course had the first top 20 hit in the UK with this song in 1969 when EMI issued it as a follow up to the UK smash ‘Behind a painted smile’. The Isley’s version seems to use the same backing track, but the mix on their version seems to have little more power. Anyway I love this and always will. A great record. I’d probably go to an ‘8’ on it and higher on the other side. I love Ross’s version too, but Mallet’s sounds like the same lament from a later stage in life. 1965 was Motown’s greatest year ever. I won’t forget it; I was 11. What’s coming is keeper stuff too, but I remember a brief lull setting in about April/May, that did not happen in 1965. While “Love Is Like An Itching In My Heart” gets to number 9, and “Ain’t Too Proud To Beg” would be released May 3, then current singles by the Miracles, Marvelettes, Vandellas, Marvin and even Four Tops all stalled outside the Top 40. The compensation was that Greatest Hits had finally come on the Marvelettes and Vandellas to join Four Tops Second Album, Symphony, Uptight, Going To A Go-Go and Moods of Marvin Gaye. Thank you for clarifying that Cleo “Duke” Miller is male! Back in the day, I saw the names of the group members and assumed that Cleo Miller was a woman, as the back-up vocalists on this and the few other Elgins’ songs I heard seemed to include two men and a woman! Was Cleo or another male singing a falsetto supporting vocal part, or were The Andantes’ or others’ voices added to the mix to give the background a fuller sound? I think either Norman McLean or Johnny Dawson (the tenors of the group) did the falsetto vocals. Cleo Miller was their baritone. It’s just The Elgins on this recording (and the B-side), no Andantes or anyone else. I was nine years old when I first heard this record on The Supremes A’Go-Go LP. My siblings found it odd that their southern born, transplanted to the Philadelphia area white younger brother was so into The Supremes, not because they were black, but more because they considered them MOR , having seen them sing so many standards on TV. I ,of course, begged my mother for the album after hearing “You Can’t Hurry Love” on the radio. After digging an inch deep groove in into that recording, I went on to listen to all the other cuts. ” Put Yourself in My Place ” immediately caught my ear, especially when Diana cooed the “for just a liitle while” part. Knowing The Elgins had recorded this first, and that Nixon’s review was soon coming, I went to YouTube to hear their version. I was quite pleased to find that I liked it very much. Saundra’s voice is like silk wrapped in velvet. I think Motown really gave the Elgins a shot considering the songs that were thrown their way. If only they had charted better — but as was said previously, new acts had to hit the ground running. Put in context (as in when it was first released) i loved it from 21 jump street! It was just so different from everything else that was going on at the time. In retrospect, that song had one foot in Detroit past and one foot in Detroit future. All told it is one of many Motown records that plays as well today as it did yesterday. After reading some of the comments regarding the puzzlement of American readers over Northern Soul on the Frank Wilson track when we get to the Elgins something fell into place. As has been commented they had hits with re-issues in the early ’70’s. The UK did not have a national ‘pop’ radio station until 1967 and local radio was all but unheard of. Compared to the US with it’s many, many radio stations playing ‘pop’ music it put us at a distinct disadvantage. Not only for the particular eclectic mix I so like but for Motown, Stax/Atlantic and indeed any Soul music. To that effect lovers of Motown and Soul music in general have always had to inhabit a retrospective scene. So all the Elgins tracks for me are ’68/’69, first real disco outside of school and first regular girlfriend. As another commentator wrote a real ATM moment so it’s difficult to separate. Having said that Saundra’s voice and delivery have always stood out for me, the idiosyncrasies and tone of lament that soothe through even the worst of times just sell it for me every time with this lady. Darling Baby I did not hear until the purchase of a ‘Hard To Find Classics’ CD in the 80’s and boy did it get some plays and agree with the consensus that it’s the better side. I’ve never heard The Elgins version, only The Supremes (the B-side to “You Can’t Hurry Love”). The Supremes version brings back very fond memories of December 1966, and, my very first record player received as a gift. I was six years old at the time, and I played that record over and over again! As noted above, when I first heard this record on the radio, I fell into the same trap that Dave Godin did in thinking that the lead singer was a man. I rather like The Supremes version of “Put Yourself In My Place”. The “rinky-dink” piano centers the song in my humble opinion. It also brings back fond memories of myself as a six-year old boy with his first record player. But, have any of you ever heard Chris Clark’s version of this song? Although she is not technically a great singer, her phrasing, along with HDH’s arrangement make for a really sassy sound!